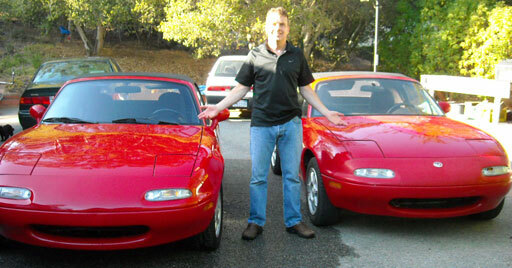 Congratulations to Lake on his selection as our Featured MX5 Miata! Everybody needs something to obsess on, recently in my case it has been the Mazda Experiment number 5, or more commonly known as the Miata. I wanted a new car and my friend said you need an early model Miata. I found one on Craigs list and took my six year old son to test drive it. 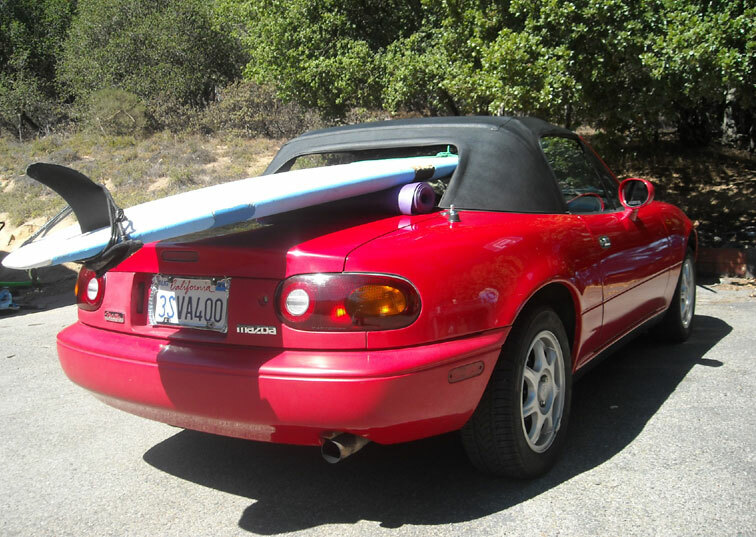 I didn't know anything of the history of the Miata or anything about performance, I just thought it looked cool and was a red convertible in my price range. More importantly, my son said Dad, you have to get it, it looks like Lightning McQueen; actually it looks like Mia and Tia but that is another story. 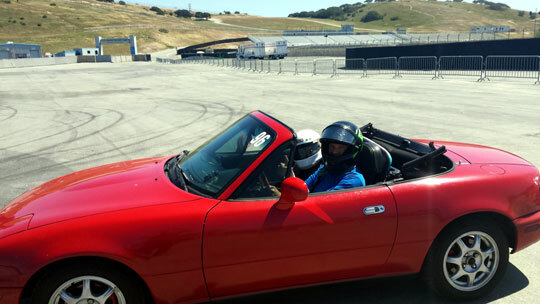 Soon after I got the vehicle, there was a Miata event at Laguna Seca where hundreds of other Miata people showed up. 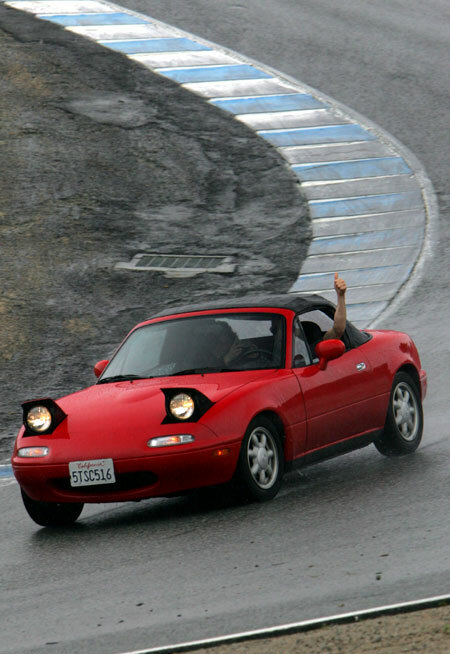 There were all types of people and Miatas: full on race cars that are towed to the event, Los Angeles Street racing machines, perfect time capsules from the early 90s without a scratch on them, primer black clunkers, and just plain stock vehicles like mine was. All kinds of different people that had one thing in common; they had all fallen in love with these little cars and like to talk about them. One couple had every gas receipt since 1989, another lady wrote a book on how to buy and sell them, and I met a man who borrowed his wife's car and rolled it, causing his friend who was following him to have a heart attack and be air lifted to the hospital. A man asked me if I was going to ride with one of the sponsored cars. The companies that sell after-market parts have their own turbo-charged cars and a professional driver who takes you around the track. 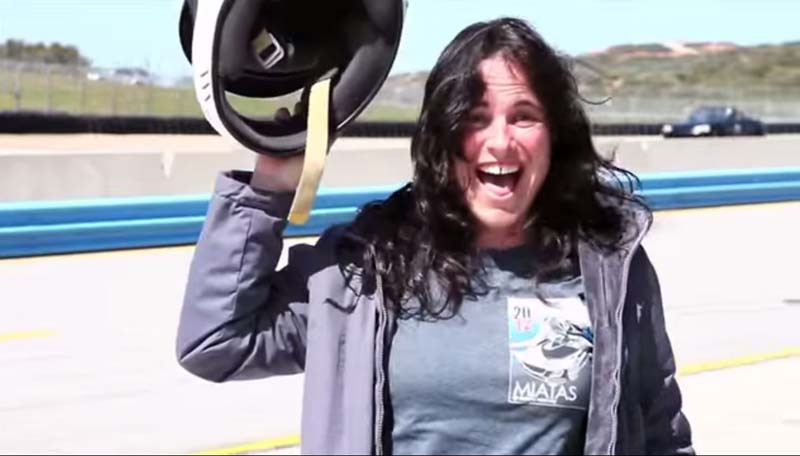 He said you have to do it; you will never look at a freeway on ramp the same again. Consequently, I signed up, got a helmet on and climbed through the window. This guy doesn't say anything to me so I don't say anything to him, we just sit, engine running, waiting for the official to wave us onto the track. It started to rain a little. 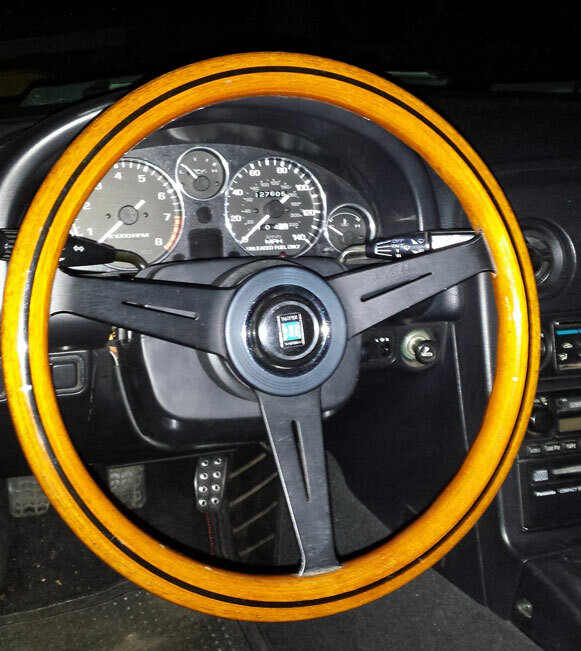 The flag man says go; we take off, shifting through all the gears, RPMs revving to the maximum. There is no way we can make this turn, we are going too fast, I am trying to find the brake on the passenger floor with my right foot, we slide, we drift out onto the track, surrounded by other cars. Seventy, eighty miles per hour we draw within inches of the bumper in front of us. I think we are going to hit him then we turn to the inside and start passing people. Passing all of them, I start to pray, please God don't let me die. We approach the world famous "corkscrew" and you can't see over the hill, nothing but sky in front of us, then we are falling, 10 stories of elevation drop, slipping and sliding in the rain; one way and then the other. I am holding on the seatbelt for dear life. Then something breaks off in the car and he hands it to me. I am too afraid to look at it and we are in the straightaway now, going faster, soaring past the stands and starting another lap. 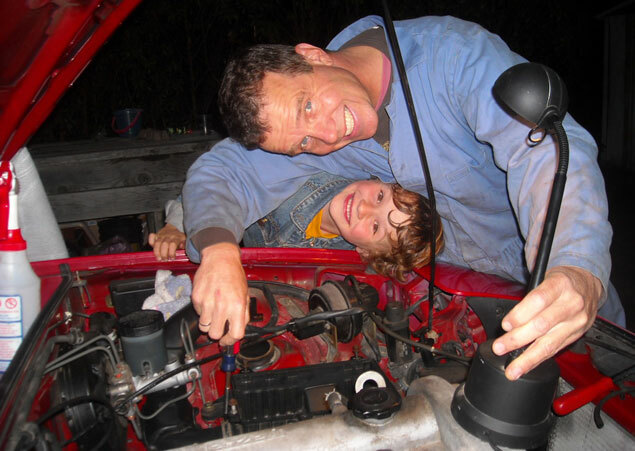 The car is loud, all the windows are down; I can smell oil and gasoline and rain. There is water everywhere on the road; other cars are appearing and disappearing in the mist. There is too much going on for my mind to understand it all, it is all a blur and then we are pulling into the pit stop. My life is changed forever. My wife is next in line, she says what is it like? I can't say anything, I am speechless. She climbs in and they disappear, I am watching her go around the track, then I see them passing cars on the corkscrew, traveling off the track and through the mud ( "The Zanardi Pass"). I know my wife is freaking out; I know she is praying for her life. I am scared for her. She arrives back in 4 minutes and her eyes are huge, like two saucers and we start laughing, glad to be alive.